1.3. Matplotlib (Matplotlib is optional, but recommended since we use it a lot in our tutorials). 7.1. 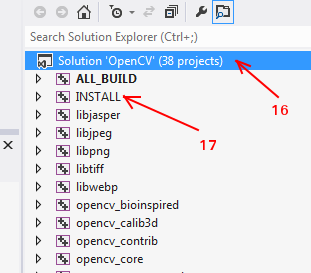 Click on Browse Source... and locate the opencv folder. 7.2. 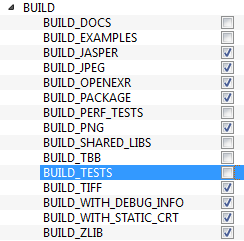 Click on Browse Build... and locate the build folder we created. 7.4. 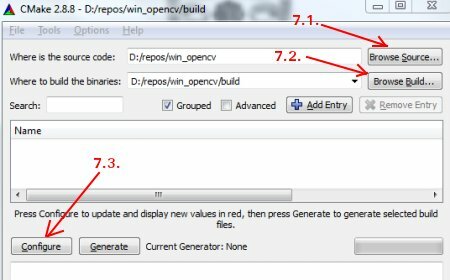 It will open a new window to select the compiler. 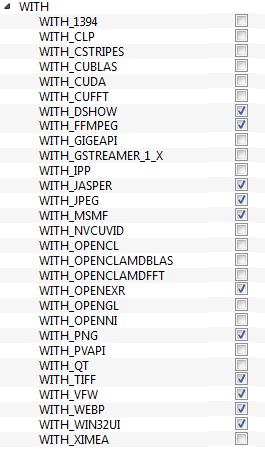 Choose appropriate compiler (here, Visual Studio 11) and click Finish. 7.5. Wait until analysis is finished.